You have added 90s Child Floral Maxi Dress into shopping cart. FINAL SALE. 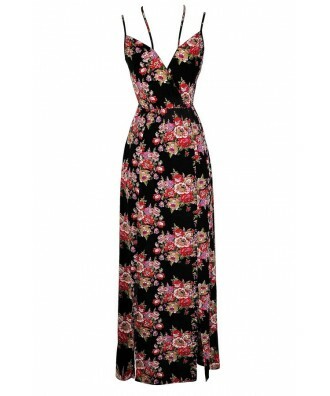 We love the 90s-inspired style of this floral maxi dress. 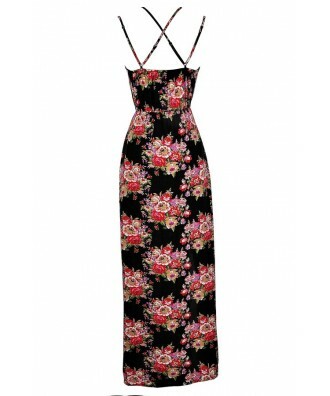 The 90s Child Floral Maxi Dress features a red, pink, and green floral print against a black background. It has dual spaghetti straps in the front that can be adjusted to control the fit. The surplice V neckline creates a flirty shape and the empire waist gives way to the full length maxi skirt. 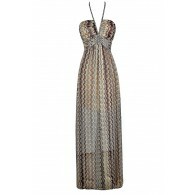 The skirt has a slit on each side, allowing you to move freely in this boho chic dress. The skirt is lined to the mid-thigh. A hidden side zipper completes this dress. The 90s Child Floral Maxi Dress would look nice paired with beaded flat sandals and a boho chic hippie headband. Toss a fitted cardigan or denim jacket over this dress on cooler evenings. You can create many different looks with this cute maxi dress. Details: Lined to mid-thigh. Hidden side zipper. Adjustable spaghetti straps. 100% cotton. Wash dark colors separately. Small measurements: Length from top of bust to hemline: 52". Bust: 32". You have added 90s Child Floral Maxi Dress into Wishlist. 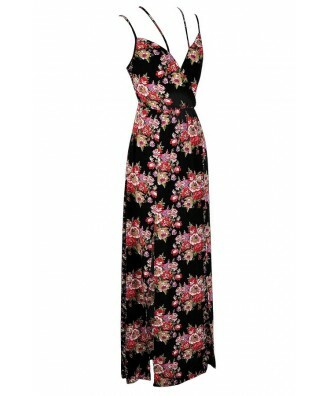 You have added 90s Child Floral Maxi Dress for Stock Notification. You have set 90s Child Floral Maxi Dress as a loved product. You have removed 90s Child Floral Maxi Dress as a loved product.